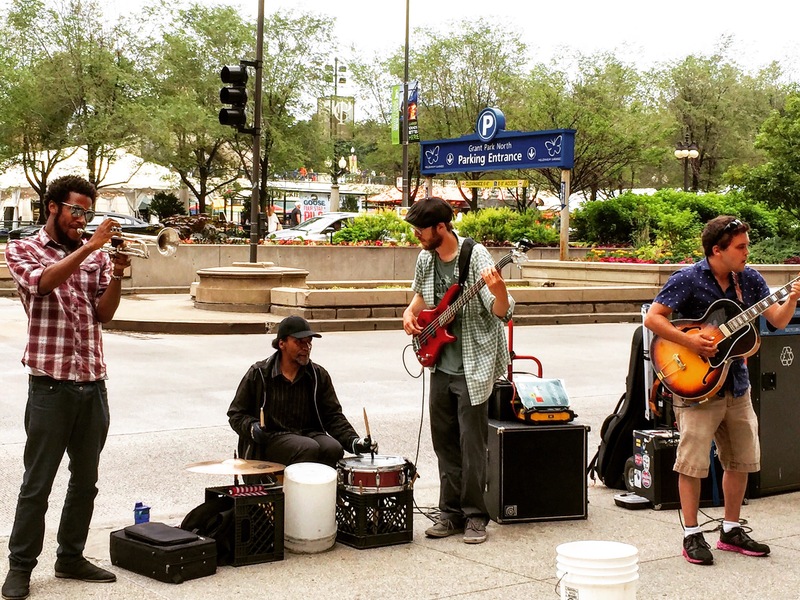 I was roaming on the streets of #Chicago exactly this time last year 2k16 and this unique Band on the streets of Chicago playing to the tunes of #life caught my attention.I was there and to be honest the tune they were playing really touched my Soul.I will keep this shot as a remembrance of street band/street photography. #Life is a #Music & let’s all #Play to it’s #Tunes. Next Post *LIEBSTER AWARD* NOMINATION~check it…..
Great shot and love street bands and buskers wherever we travel. Recently saw a group performing in Prague who must have had an average age of 80, but they were playing a boogie-woogie type of music that made them seem 30!! The same i saw in a Summer Fest at Ann Arbour this time last year in USA. Pingback: Focus Rain | What's (in) the picture? I like to listen to the street musicians in New Orleans! Actually…I just like music wherever it is played! Life is a Music and let’s play to it’s TUNES…..